I’m so excited because this Flat Belly Meal Prep is a collaboration with Lorraine from Baking Mad Gym Addict. Loraine is such a bubbly person and I consider her as THE queen of Meal Prepping. 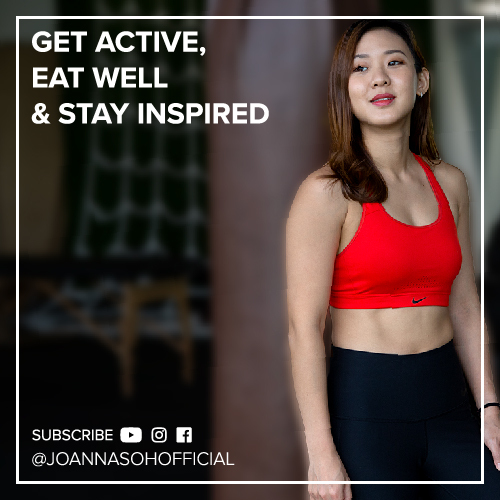 Her YouTube channel has lots of step-by-step meal prepping videos, which you can follow and learn. Not matter how much you dedicate your time to exercising, if you do not watch over what you eat, you will still have belly fat. Your meals are extremely important in achieving your fitness goals. To succeed in anything, we got to plan and prep ahead. 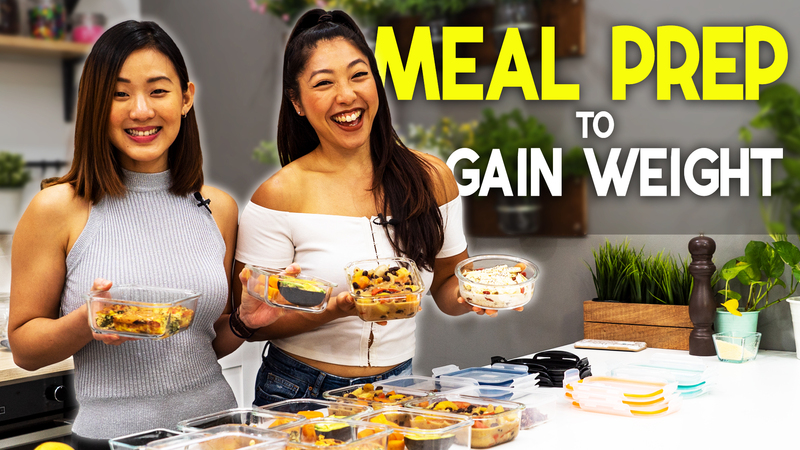 Both Lorraine & I have worked on this one-week Flat Belly Meal Prep because we want you to succeed. I’ll be sharing the meals from Monday to Wednesday, and hop onto Lorraine’s channel to get the full meals for Thursday to Saturday. I’ve challenged myself to create this meal plan where it’s suitable for Vegans, requires minimal cooking, in fact, you’ll only be cooking one meal, time efficient, I’ve prep all of these meals in under 90 minutes, we’ll be using simple ingredients which are widely available and of course we’ll only be using Real Food with high nutritional values. So let’s get started, for breakfast, it has to be the Hearty Overnight Oatmeal. You can’t have an easier and healthier breakfast than this. It is SO simple. All you’ll need to do is combine all your selected ingredients, place it in a jar, seal and refrigerate overnight. This will last for up to 3 days in the fridge. So I’ve made 3 different varieties for each day. 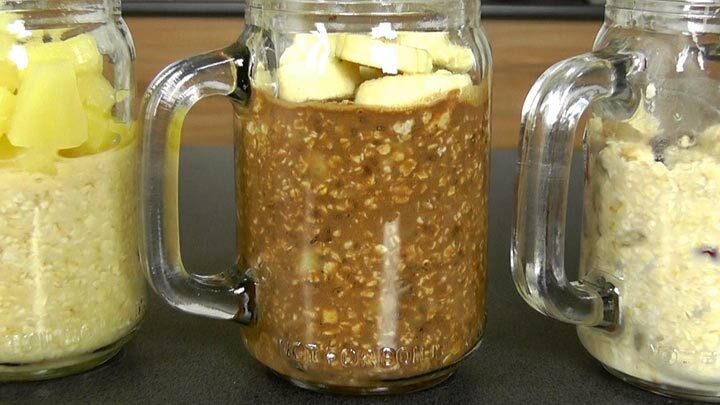 1) Combine all the ingredients into a jar. 2) Seal and refrigerate overnight. Breakfasts is ready in less than 10 minutes! Now let’s move on to lunch. 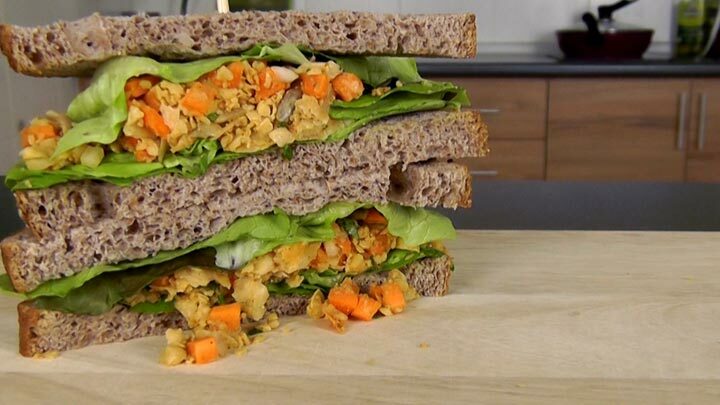 Assuming that most of us will not be home for lunch, I’ve opted for Vegan Mashed Chickpeas Sandwich. So pack this to work or school. Ahhh… So yummy! *Option: Any other green leafy vegetables, spinach, kale etc. No cooking is required for this recipe. 1) In a large bowl, roughly mash chickpeas with a fork or potato masher. 2) Add the remaining ingredients; carrots, onions, sunflower seeds, parsley, lemon juice, olive oil, smoked paprika and season with salt and pepper. Combine well. Time to pack my lunch. 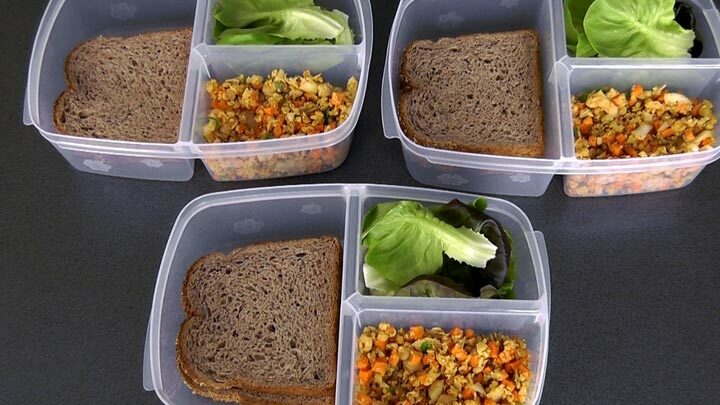 I like to pack the sandwich filling separate from the bread slices and lettuce leaves to protect my sandwich from going soggy and keep it fresh. Each serving with 2 medium bread slices contain about 323 calories. What I’ll do is assemble the sandwich in the morning and bring it out or you can assemble your sandwich either at work or school. Breakfast, checked! Lunch, checked! Now let’s prep and cook dinner. I do enjoy my Asian cuisines. So for dinner, I’m going to introduce you to the yummy Scrambled Tofu Pineapple Fried Rice. Fried rice is probably THE easiest meal you can put together, because you just can’t go wrong with it. I measured 105g uncooked, and 210g cooked. 1) In a pan, heat ½ tbsp. of sesame oil over medium-high heat. 2) Stir in the tofu and cook for 4 – 5 minutes until tofu is slightly brown. Remove from heat and set aside. 3) Add the remaining ½ tbsp. of sesame oil. Add garlic and lightly stir-fry for about one minute until golden brown and fragrant. 4) Stir in the carrot and broccoli. 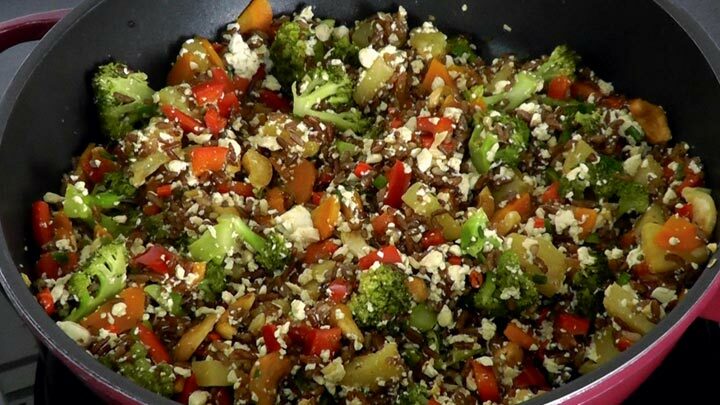 Cook for 3 – 4 minutes until vegetables are slightly tender. If too dry, add a dash of water. 5) Then mix in bell pepper, pineapple chunks and cashew nuts. Continue cooking for another 3 – 4 minutes until pineapples are slightly caramelized on the edges and cashew nuts are lightly brown. 6) Stir in the rice, soy sauce and lime juice. Cook for about 5 minutes until rice is heated through and all ingredients are well combined. 7) Finally add the scrambled tofu, spring onion and red chilli. Cook very quickly for another 1 – 2 minutes. 8) Remove from heat and allow the rice to cool down. Once the rice has cooled down, I’ll pack them evenly into 3 containers for my 3 days dinner. DONE! So all my main meals are done in less than an hour. I’ll store them in the fridge for up to 3 days. As for snacks, again think simple. I like to have one liquid snack and another snack-on-the-go when I’m out. My mid morning snack has to be Mango Green Smoothie. Once I’ve measure the ingredients, pack all the ingredients into 3 zipper bags and seal. Place the bags into the freeze. And when I want to have my morning smoothie, I’ll just add 1 cup of water and blend away. You can mix and match the fruits and vegetables according to your liking. 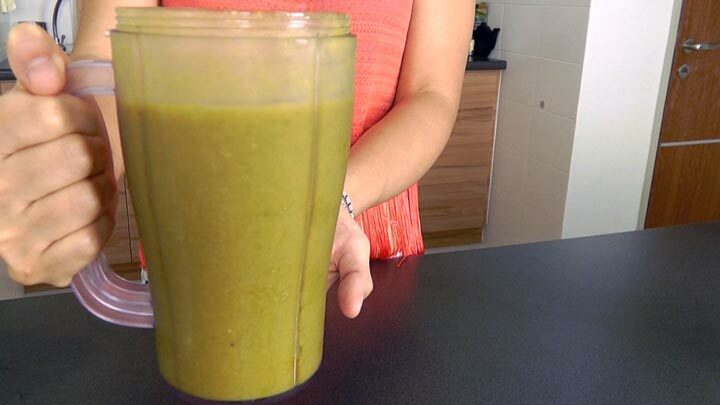 Do Watch my “How to Make the Perfect Green Smoothie” video for step-by-step guidance. As for snack on the go, it’s just a simple trail mix. Measure it to a quarter cup and the calorie will ranges from 140 – 170Cals. My trail mix combinations are dried cranberries, cashew nuts, goji berries and sunflower seeds. Pack in 3 small snack containers and I’ll bring this out with me. 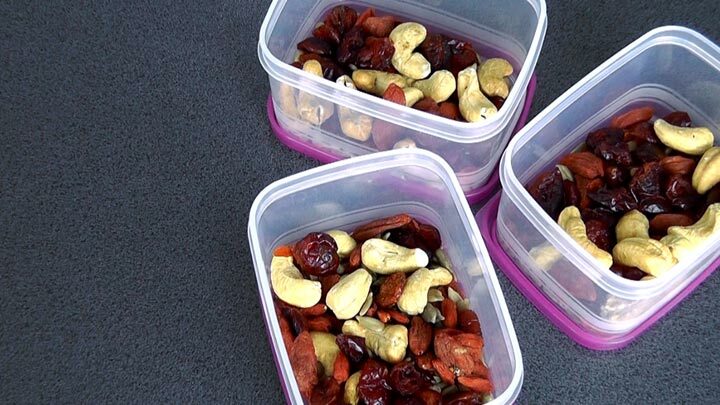 It’s important to bring a small healthy snack with you whether it’s a piece of fruit, trail mix or energy bar, so if ever you’re feeling peckish, you’ll have a healthy snack to turn. This Vegan Flat Belly Meal Prep averages at about 1500Cals and I’ll also give myself about 150 extra calorie allowance especially on my workout days. Depending on your activity level and body measurements, you will need to adjust the calories accordingly. Remember to not be too obsessed with calorie counting. These values are meant to act as a guideline for you to be more aware of portion sizes and avoid overeating. In the end, the goal is to eat ‘real’ food, food closest to its naturally state and minimally processed. 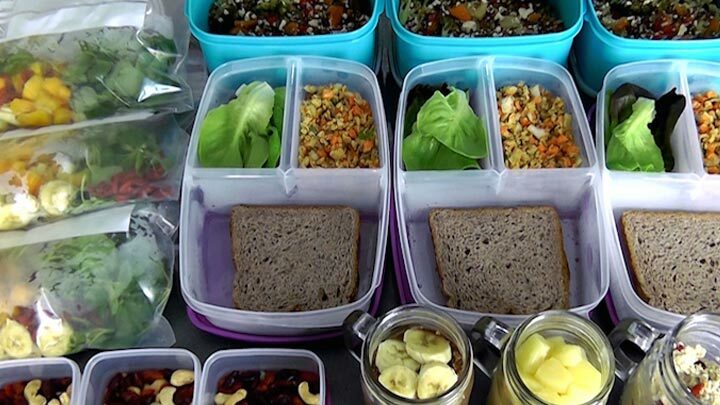 Use this flat belly meal prep as a guideline for your meals on Monday – Wednesday and hop on to Lozza’s channel to get the Thurs – Sat Meal Plan. And on Sunday, you can choose and make your favourite healthy meals and also give yourself a treat by having one reward meal. These are my favourite simple dishes, which I don’t mind repeating on a regularly basis to help me maintain a healthy weight. So mix and match your favourite ingredients, plan and prep ahead and I trust you will succeed in your fitness goal. All the best!